Swivel chairs are a popular upholstery style as they add versatility and function to a space. We have a new swivel chair in the store that can bring in functionality and style to your home. It is also upholstered in a family friendly, durable Crypton velvet. 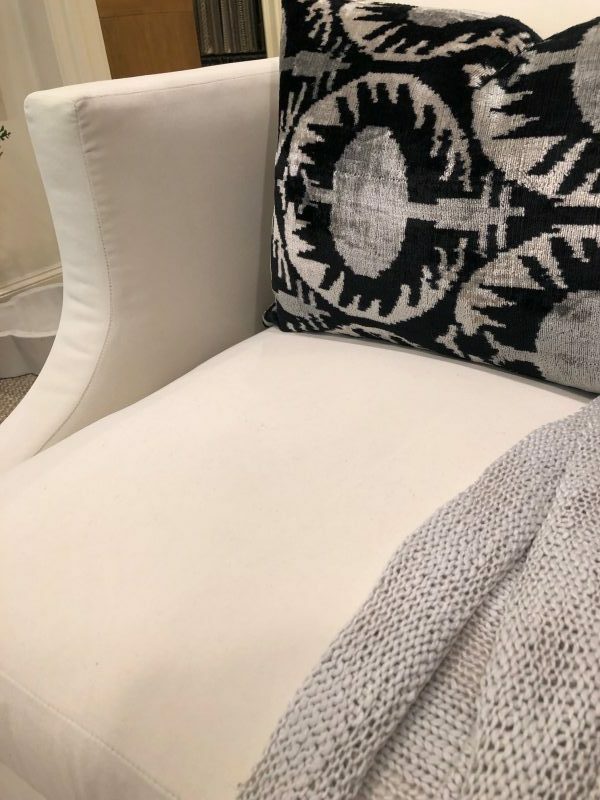 Read along as we share more details about this chair. Our customizable chair features a 360 degree swivel. It is upholstered in an ivory Crypton fabric, but it can be ordered in any fabric of your choosing. The 8-way hand tied construction of the chair makes it a comfortable and cozy spot that your family will enjoy for years. The chair is 32″ W x 36.5″ D x 32.5″H and sells for $2,699. 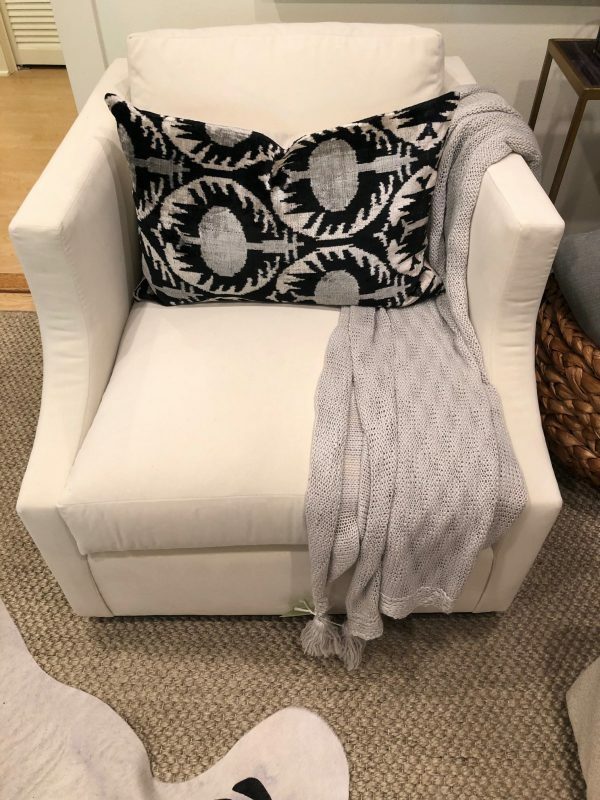 Stop in and try out the chair! 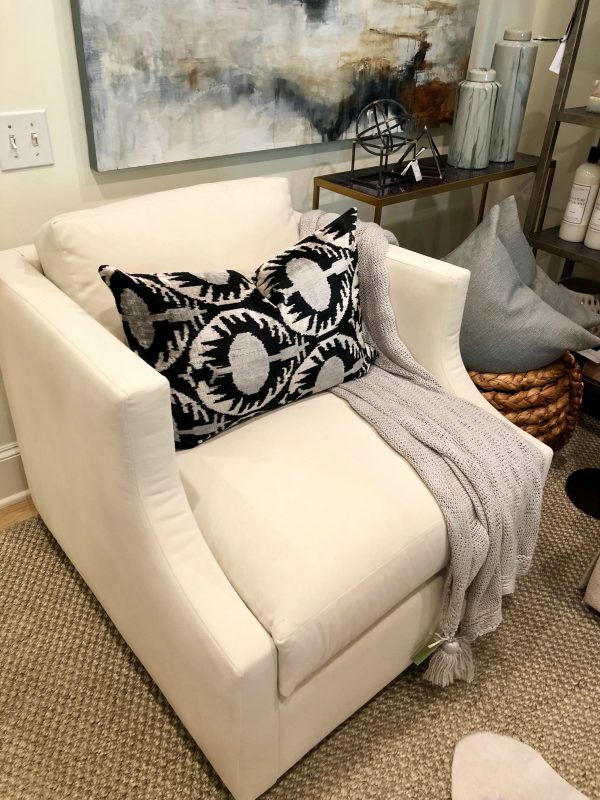 For custom upholstery, give our team a call or send us an email. We can help you find comfortable, American made pieces that suit your needs.